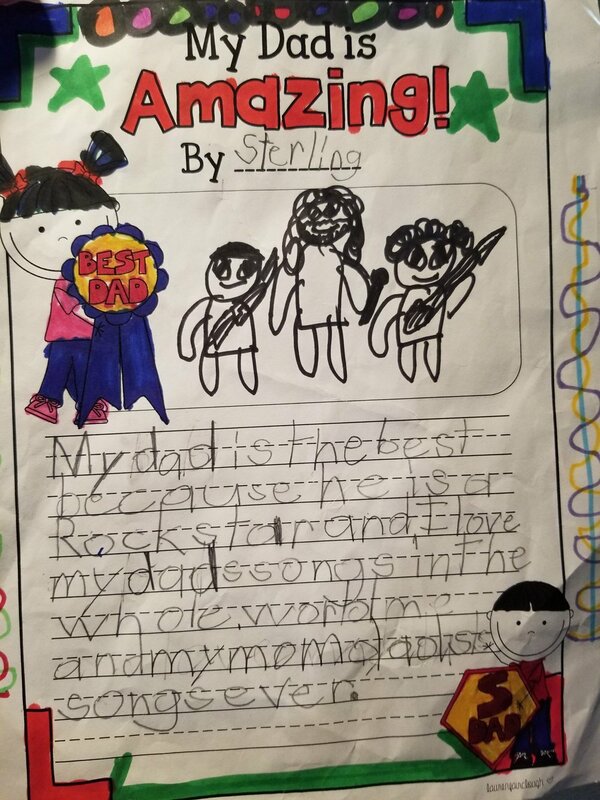 I’m a Rock Star Dad and I can prove it. All you need to do is ask my son Sterling and some of my proudest moments as a father have been proving it to him. It’s not entirely altruistic. There’s no doubt that I love the feeling of performing on stage and that I benefit from it—whether in front of 10 or 400. I “selfishly” need to perform and be creative in order to channel my energy into the rest of my life. We say often at Be Strong Families Parent Cafés: you have to take care of yourself in order to be strong for your family. When I put those moments into the context of raising my son, that’s the message I want to send him. 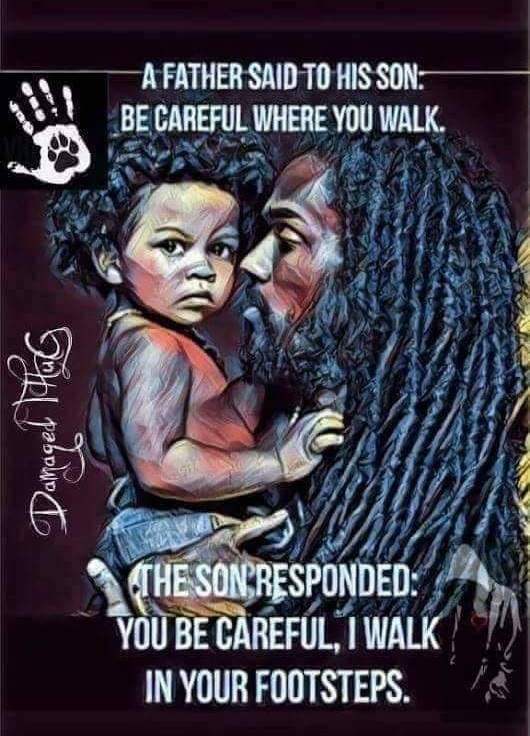 When I’m actively doing that, there’s a noticeable difference in how I can show up for my family. And when there are opportunities for my son to be there in person, it allows me to put that love on display for him to see. He can look up and see his Dad on stage doing something that he loves and sharing himself with the world. He can see the real me, beyond the man (or as I’m referred to at home, “The Beast”) that helps him with his homework or cheers him on during the choir concert or teaches him the rules of basketball. I’m not just Dad. I’m a real person with real dreams and real interests. And that’s one of the lessons that my wife and I make an effort to teach; we don’t have to let go of the things we love as our lives evolve. The challenge is finding the path towards integration. So I’m a rock star—not because I’m touring the world or blowing up Spotify or showing up on Friday Night Videos (Is that show still on? LOL)—but because that’s the energy I bring into everything that I do. It just so happens that I play in a local rock band. That’s the energy that Be Strong Families brings into the world through our work. A couple weeks back I drove home from an amazing staff development day where I was joined by my colleagues across the state and country. I marveled at the make-up of our little organization that has grown from an initial leap of faith into an agency that is truly partnering to develop transformative conversations that nurture the spirit of family, promote well-being, and prevent violence from coast to coast. How can we be effective at living that mission—how can we be a catalyst for transformation—if we can’t be real? I often repeat my favorite principle from Be Strong Families’ Wake Up! To Your Potential: As a Person, As a Parent, As a Leader Training—"You are always, and in all ways, greater than you think you are.” I reflected on what makes us great and I believe that one of the key aspects within our culture is holding a space for everybody at Be Strong Families to bring their creativity and passion into the work. Sure we all have “jobs” to do, but there are really no limits for anyone in the agency to bring the change they want to see or share their authentic voice. And isn’t that how it should be? Not feeling the need to compartmentalize the parts of our lives that don’t always seem to fit at first glance, but rather bringing one’s true authentic self into everything we do. That’s how it used to be for me—maybe it’s that way for you. I do know one thing. When I bring my full self into what I do, I can live with the results. Doing that makes it more than a job; it makes us rock stars. That’s the kind of person, parent, leader (and professional) I want to be. That’s the kind of person I want my son to get to know better. I’m not only a Rock Star Dad; I’m a Rock Star COO and I can prove it. 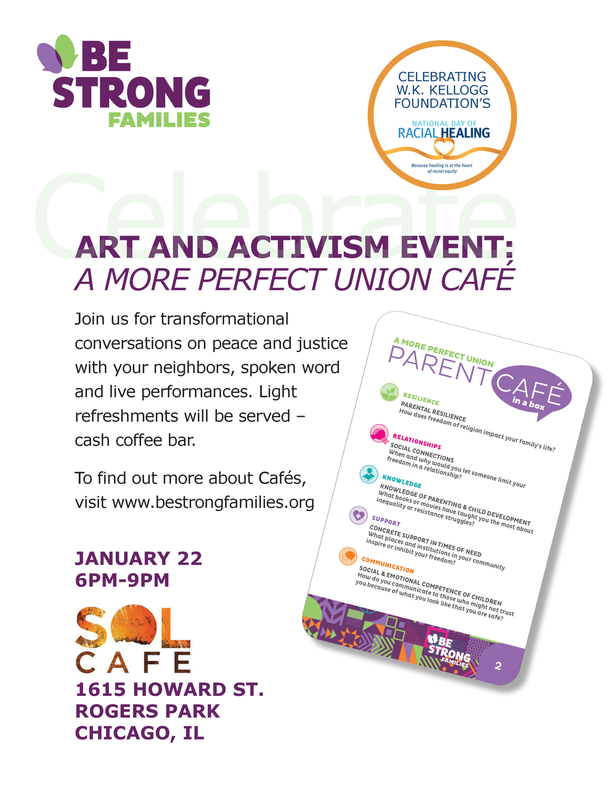 If you’re interested in “jamming” with us next week I invite you to join our Art and Activism Events on January 22nd—celebrating W.K. 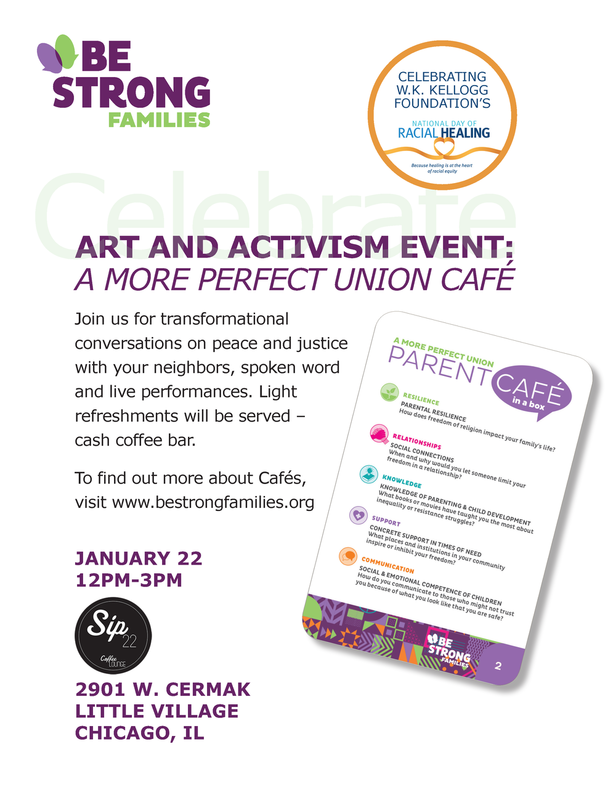 Kellogg Foundation’s National Day of Racial Healing by introducing our newest Parent Café resource, A More Perfect Union. If you’re in Chicago, you can come in person, otherwise you can join the live streams on our BSF Facebook page. Click on one of the flyers below to RSVP to our Facebook events.